The SCHEIDT SYSTEM BEK in detail. Whether standard or custom: SCHEIDT makes your wishes come true. With an ingenious 10 cm grid of at least 2.50 m to max. 10.00 m in length, we can manufacture any station to meet your needs. The roof overhang is 3 cm all-around, the station overhang opposite the basement is 2 cm all-around. 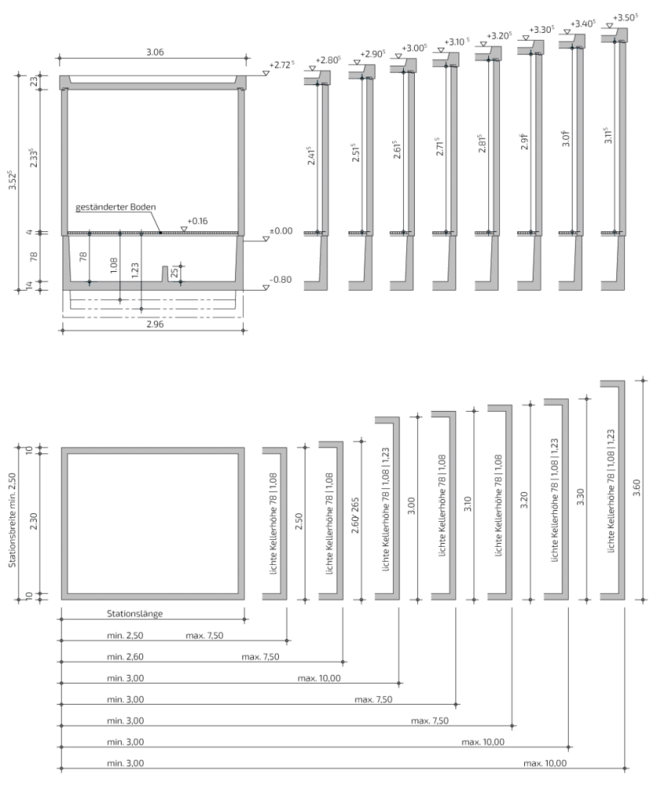 All dimensions of the depicted stations in m and cm. 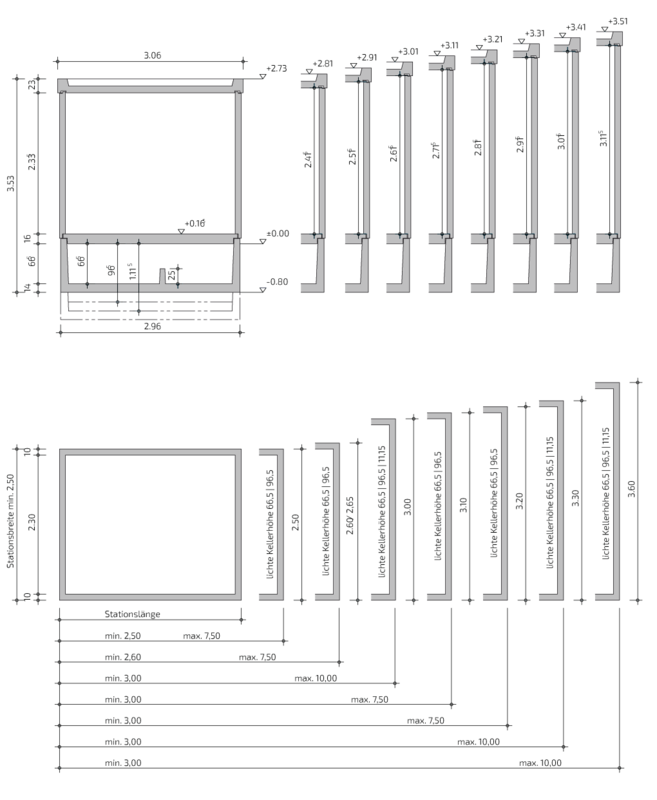 Cable cell elevation of 300 mm for all specified station widths.